I rarely watch television news, but that wasn’t always the case. For one year in college I was a news junkie. Throughout that transformative, yet tumultuous, year in my life, I watched hours of news programming each day. This was partly a form of comfort. While immersed in the news, the voice in my head was temporarily replaced by that of the news anchor. Instead of learning about the nature of my mind, and the suffering created by thought, I was trading in an unsatisfactory identification with my life situation for a new identification with the stories on the news. The energy of past pain, the pain body, that is strengthened and experienced anew by the energy of current suffering, was awake within me and relished this new identification with news stories. After all, those stories carried the same low frequency energy of the past pain; they were its new lifeblood. 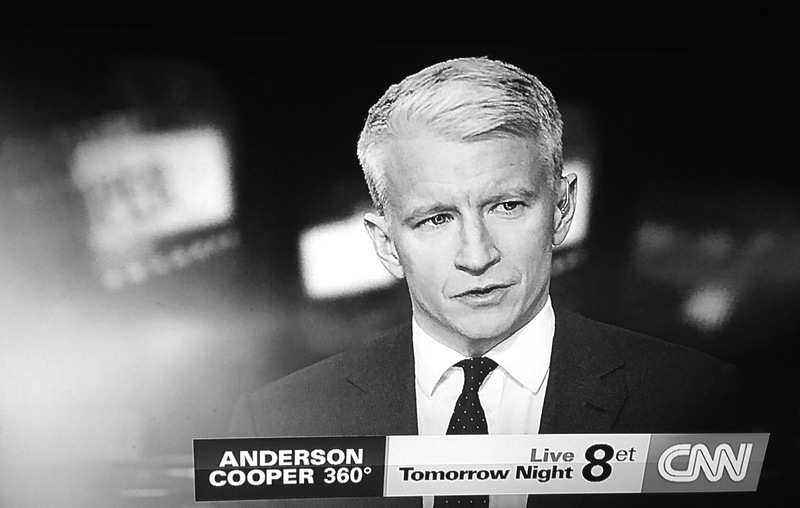 A few nights ago I felt compelled to watch Anderson Cooper 360. After hearing several stories and endless commentary I realized why news commentary is often detrimental and unhelpful to the situations they discuss. What do Fox News, MSNBC, CNN, and even local news have in common? They all consist of people discussing the ins and outs of other people’s situations. To the ego life is a mental screen of thought. Yet, real life is that which is felt, witnessed, and experienced by an individual. The surest way to pass on those uniquely experienced and understood life lessons is to share from the depths of your own experience, or as a commentator to reflect on your shared human experience. When we hear commentary trying to assess, label, and judge a situation we get further and further away from any real meaning. Commentators transform into voices identified with mental positions, and are no longer engaged in a discussion about a real human being’s unique life experience. News commentary is the collective ego, strengthening the ego in all those they debase to a mere story. What is really going on in any given situation can never be fully understood. Without that felt realization, news commentary will continue to be void of conscious awareness, ignorant of the beings it has turned into objects, and continue to strengthen the collective human ego. Full disclosure, I am writing a commentary on why the current state of commentary is unhelpful. While I attempt to offer the best and most honest areas of my current understanding, I too know the excitement and strong appeal of purporting opinions on the lives and actions of others. With that in mind, I acknowledge the state of the exchange of ideas that we are currently experiencing in this day and age, which I am not separate from, but wholeheartedly envision a world of communication with a remembrance of the unity and profundity of each human being. Interesting thoughts. I don’t watch much news except for local stuff. But I do like Anderson Cooper!